NSW U set motor car. 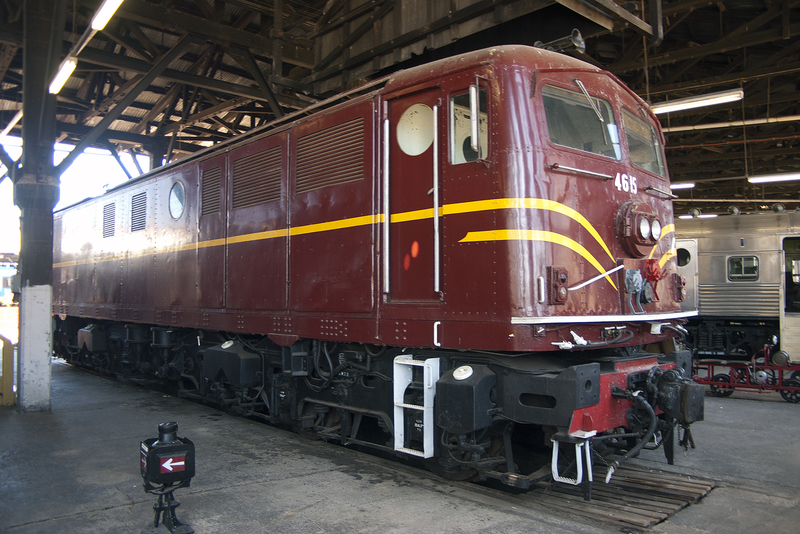 NSW U set motor car (CF 5003) at the Junee Roundhouse Museum. 4615locomotive at the Junee Roundhouse Museum. 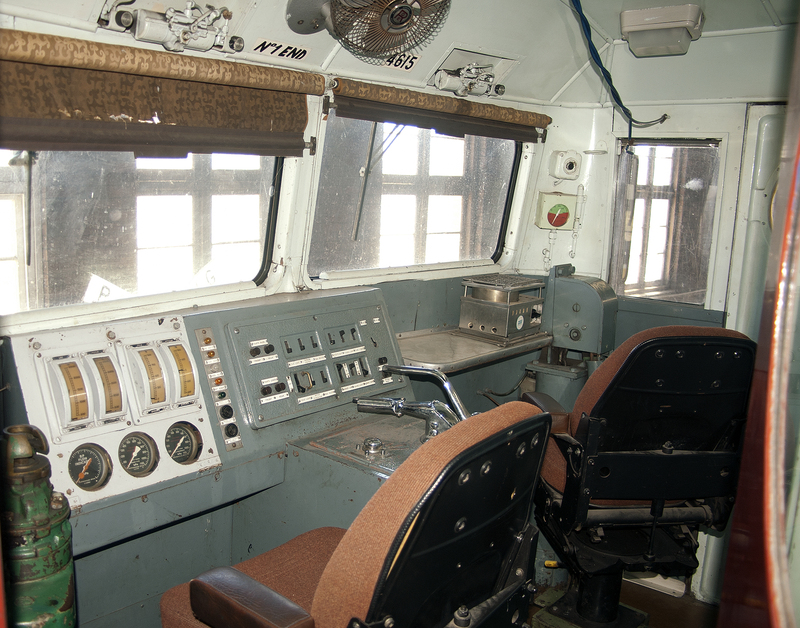 Driver's cab of 4615 locomotive at the Junee Roundhouse Museum. 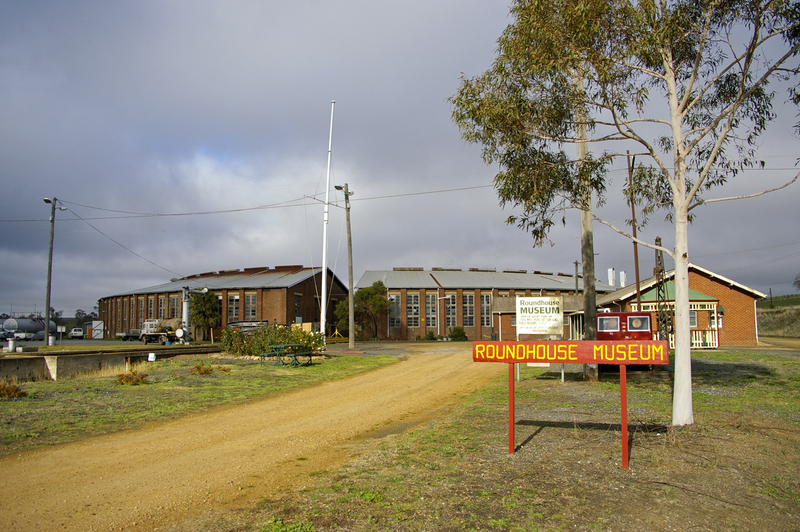 The Junee Roundhouse is one of few surviving, working railway Roundhouses in the Southern Hemisphere. It is also home to the only working steam driven accident crane. Of a number built in America in the early 1940’s, five were brought to Australia by the US Army Corps. 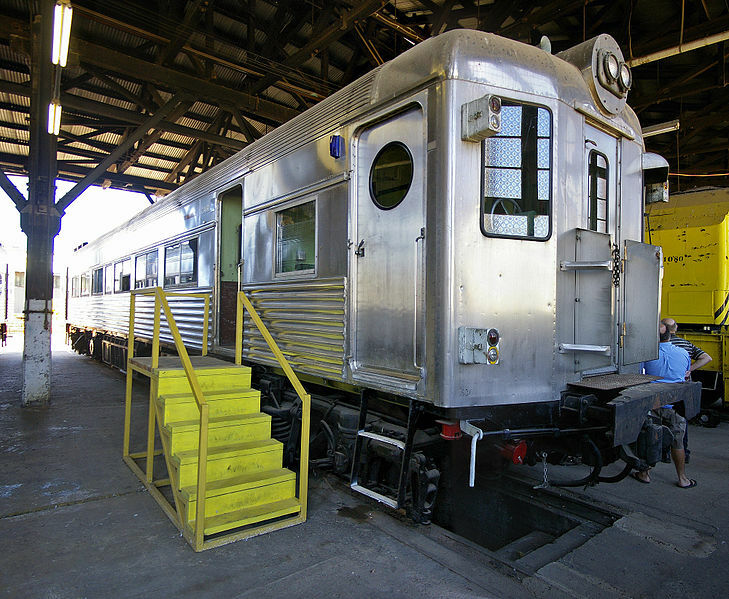 With the end of the war, the NSW Government Railways (NSWGR) purchased two for railway use. Because the others were then classed as surplus to Army requirements, they decided to have the remaining three shipped back to USA by aircraft carrier. These, however, were lost at sea just outside Sydney Heads. The remaining crane is being stored at Dorrigo, on the NSW central coast. Water Tank Wagon 1171 is also housed at the Roundhouse. It comprised part of the breakdown train, along with the breakdown van which is a wooden sleeping car that was converted to accommodate the breakdown crew whilst on the job. One end was used for sleeping while the other was for meals and a living area. Another important part of our rail history can be found in the Mail Car. This was used to sort the mail whilst in transit. The van has separate racks for each town through which the train passed and shelving for parcels, and the end of the van was used for larger items. On permanent display at the Roundhouse are several electric trains, along with a number of trikes and a quadricycle.